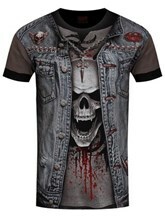 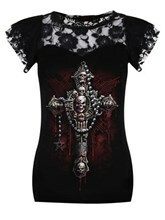 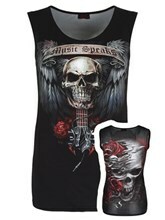 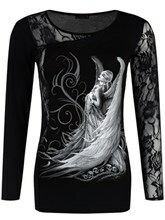 Inject some attitude into your wardrobe with this hellish design, brought to you by Spiral. 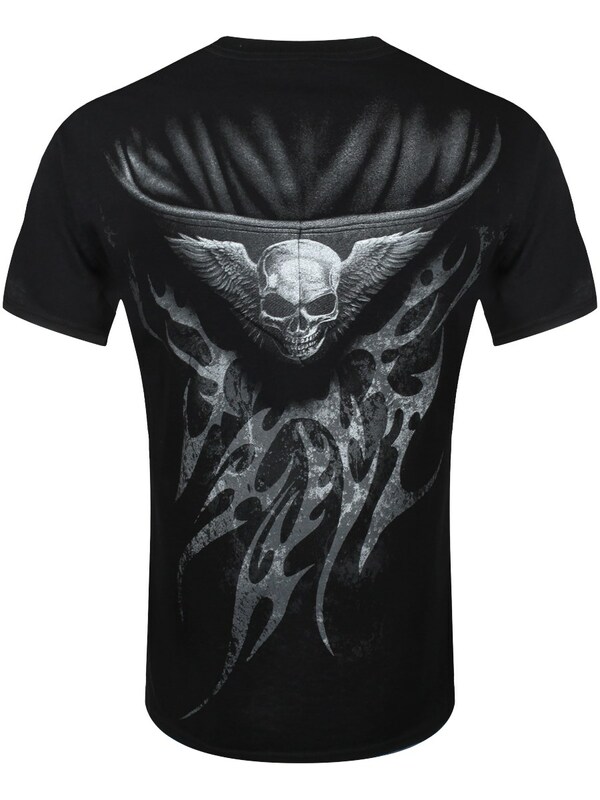 Featured in black, this particular men's tee has been given an 'unzipped' effect, revealing the spine and rib cage on the torso. 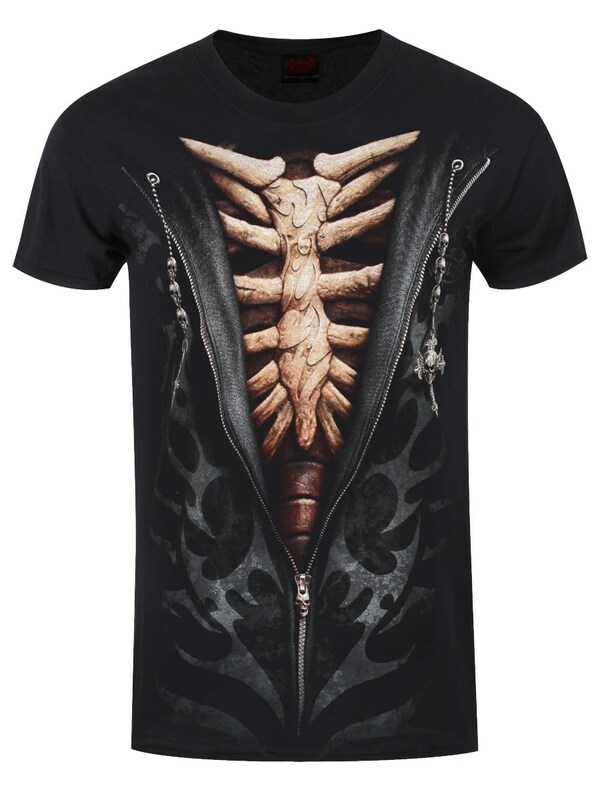 If you are a huge fan of all things shocking and bold, this 'open jacket' tee is just what you want.